In the late 1960s there were several clubs in the County; The Canning Lake Shirt Tails and Sports Club, The Donald Windegos, The Minden Snowdrifters , and others. 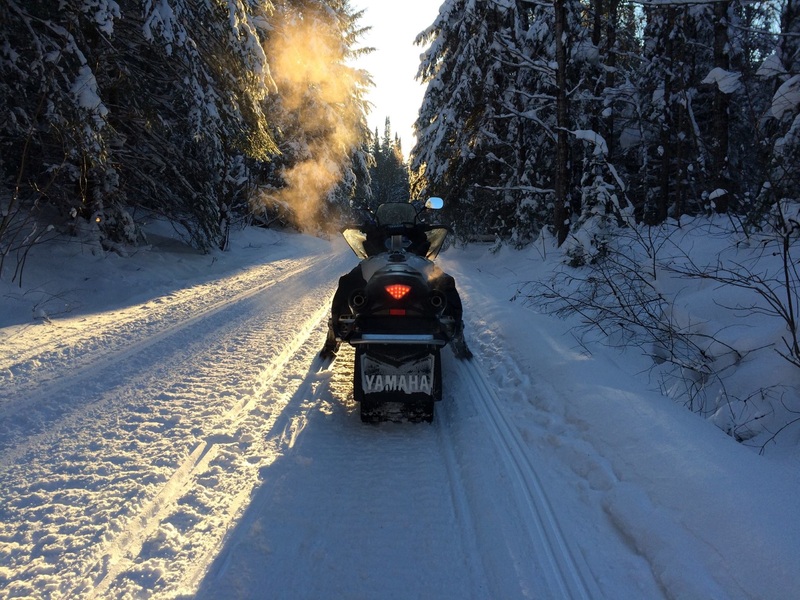 Members had a choice of 100 snowmobile brands and groomed the trails with bed springs in tow behind their sled. Minden to Gelert or Haliburton to Donald was a huge day. In 1971 these small clubs got together and formed the HCSA. We invite you to enjoy the HCSA’S 370 kilometers of groomed, signed trails with some pretty spectacular scenery along the way. You’ll ride everything from an abandoned rail line, to dense bush, to hydro corridors and the only trail through Algonquin Park. We are a partner in the world famous RAP (Round Algonquin Park) Tour, Snow Country Snowmobile Region, and a member of the Ontario Federation of Snowmobile Clubs. More than 100 generous landowners allow us on their property without any compensation. Without their help there would be no HCSA. We cannot thank them enough ! Please stay on the trail. The HCSA has 5 industrial turbo diesel groomers working to improve your ride. Now a bit of trivia; our rigs with a full load of snow weigh in at 17,000 pounds ! In a good winter the HCSA will groom 2000 hours, most of it in the quiet hours when traffic is light. This allows the snow to “set up”. 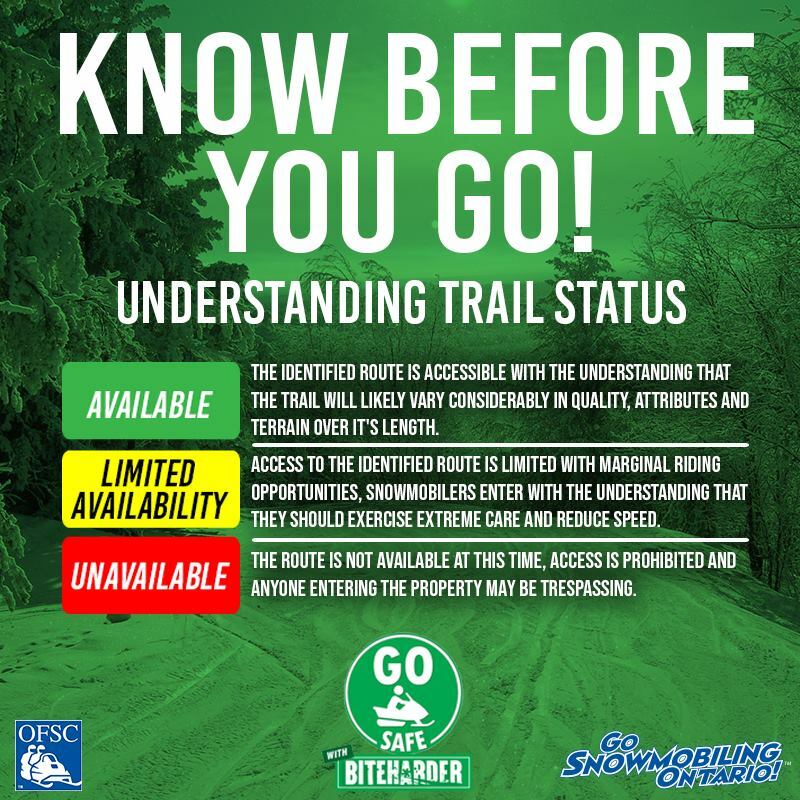 The HCSA has approximately 75 kilometers of trails over lakes, all are marked at 100 yard intervals using more than 800 orange reflective stakes. Then there’s the signs you expect showing key safety information and destinations. Hundreds upon hundreds strong including our Trail Guides posted at key intersections. There’s also the things one doesn’t notice, dozens of gates open in the winter, closed in the summer. Countless culverts, many bridges, fixed and floating. directly to trail building. Everyone has a skill we could use. If you have some time to spare we would love to hear from you. Please contact us. We groom for tourism; just add snow – Ride and enjoy. We welcome everyone to our monthly meetings held the first Monday of each month at 7 pm at our Clubhouse and Shop, 171 Mallard Road in Haliburton’s Industrial Park.